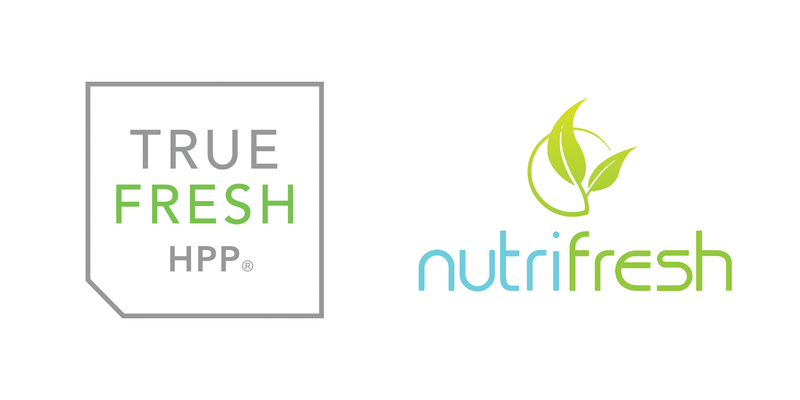 BUENA PARK, Calif., March 29, 2018 (Newswire.com) – ​​True Fresh HPP, a food innovation solutions provider, and NutriFresh Services, the east coast’s premiere HPP and cold-pressed juice manufacturing facility, announced today a joint partnership that doubles their capacity to service national food and beverage manufacturers with HPP tolling services originating from both coasts. By combining True Fresh’s four high-capacity Hiperbaric HPP machines with NutriFresh’s three high-powered Hiperbaric HPP machines, the merger creates the single largest state-of-the-art HPP tolling enterprise in North America. With its combined tolling capabilities in New Jersey and Southern California, and an annual capacity of 200 million lbs., both companies can now leverage their bi-coastal services to better support large-volume customers, ensure greater flexibility and responsiveness, and be a logistical standout by providing lower transportation costs to customers on both coasts. High Pressure Processing (HPP) is an all-natural FDA approved pasteurization process that helps food and beverage manufacturers ensure food safety and stability without the use of preservatives or heat. Instead, products are sealed in final flexible packaging and subjected to a high level of hydrostatic pressure (43,500-87,000 psi) transmitted by water. The process kills common pathogens such as Escherichia coli, Salmonella, and Listeria, and extends the shelf life for chilled, already-packaged juice, fresh proteins, and ready-to-eat meals for up to ten times normal expectations. This allows manufacturers to supply fresh, refrigerated products that are clean, wholesome, safe, and long-lasting, while simultaneously increasing operational efficiencies. With our expanded geographic footprint and bi-coastal capabilities, this joint venture allows us to fulfill the needs of national customers who require HPP on both coasts. “With our expanded geographic footprint and bi-coastal capabilities, this joint venture allows us to fulfill the needs of national customers who require HPP on both coasts,” commented Guy Ironi, CEO of NutriFresh Services. “Consumers’ desire for healthier refrigerated offerings has upped the demand for HPP technology so food and beverage producers can truly call their foods ‘clean’ while maintaining the product’s taste, texture, and appearance for a longer period of time,” said Alan True, Founder and CEO of True Fresh HPP. Founded by Alan True and headquartered in Southern California, True Fresh HPP is one of the largest HPP tolling solutions providers in the nation. True Fresh HPP California is USDA, FDA, Organic certified and BRC accredited. In addition to state-of-the-art tolling services, True Fresh HPP also offers product development, packaging, packing and labeling services as well as frozen storage and supply chain and logistics services. For additional information, visit www.truefreshhpp.com. NutriFresh Services is the east coast’s premier Copacker, HPP Tolling, 3PL, and E-Commerce fulfillment facility with more than 100 million pounds of annual HPP tolling capacity. Conveniently located off the New Jersey Turnpike near Port Newark, Port Elizabeth, Newark Airport and New York City, NutriFresh is a full-service A-to-Z facility with nearly 1.7 million cubic feet of refrigerated and frozen storage (-20 to +40° Fahrenheit). NutriFresh is a one-stop shop facility for food manufacturers, and is FDA, Organic, Kosher, and Non-GMO accredited. For additional information, visit www.nutrifreshservices.com.